Good news! EverydayHDR will now be contributing to HDR Spotting, thanks to Philip Johnson and his gracious registration code. HDR Spotting has a closed registration by register code only. Philip was kind enough to throw me his extra one. You ROCK Philip as does your portfolio! I recently picked up a very inexpensive 8mm fisheye lens from Amazon. 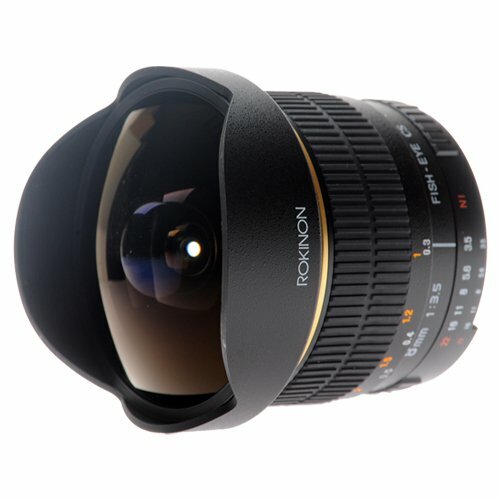 It is made by Rokinon, don’t let the name fool you, this lens is crazy fun! It reminds me a bit of my old school days playing with a manual film camera for the first time. What some may consider a downfall is the inability to set the aperture in camera and no auto-focus, but wait! Before you disregard it, playing with the lens aperture and focus ring is what photography should be all about. We are spoiled these days with auto-focus, auto white balance, auto aperture, auto bracketing, auto blah blah blah! Why not throw down a couple bucks and play with the true nature of Photography. The manual aspects of this lens will force you to slow down a bit with the camera, take a breather, concentrate, and maybe even help compose better images. It is just a thought. Bottom Line: I have not seen a single flaw so far with the lens, I intend on playing with it A LOT, you will see more images in the future! Here are your Amazon links, oh and buy through my web links if you are interested, I am an Amazon Affiliate now (that means a very small commission)! Olympus, Nikon, Canon, Sony, Pentax, Samsung. 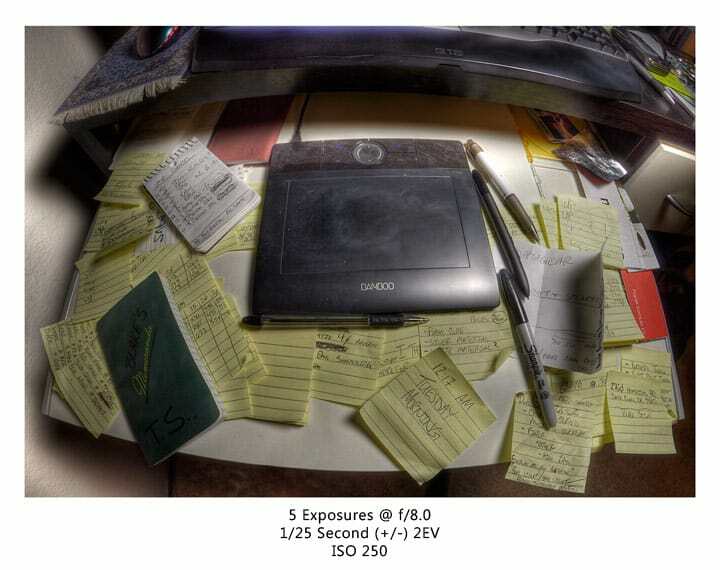 Here is my desk, the sticky notes have reproduced since I started EverydayHDR. My wife told me that it looked like a sticky note factory blew up on it. You see the Bamboo text, the face of the lens was 9 inches away from that, talk about a killer field of view! I use the crap out of my Bamboo tablet…can you tell? I used the lens for 2 of my self portraits on Monday.